W.C. Fields is a true comedy legend and remains one of the most recognizable and beloved actors of all time. From his early days on stage in vaudeville and Broadway through his live appearances on radio, he created an iconic persona that has never been matched. The comic genius of W.C. Fields is best captured forever in his body of films that highlight his notoriously sarcastic quick wit and slapstick routines. 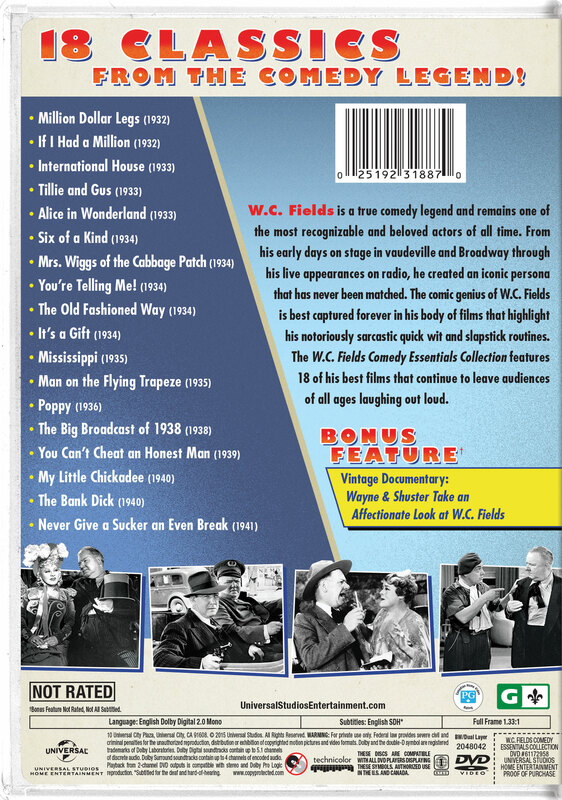 The W.C. Fields Comedy Essentials Collection features 18 of his best films that continue to leave audiences of all ages laughing out loud.